Sixtyone Restaurant in London exudes understated elegance: the room is spacious yet intimate, the banquettes are beautiful yet comfortable, and the grill-based menu is refined yet unpretentious. Our task was to develop a focal lighting sculpture for the establishment – something that would be in keeping with the restaurant’s laid-back style, but which added an element of fun and eccentricity. 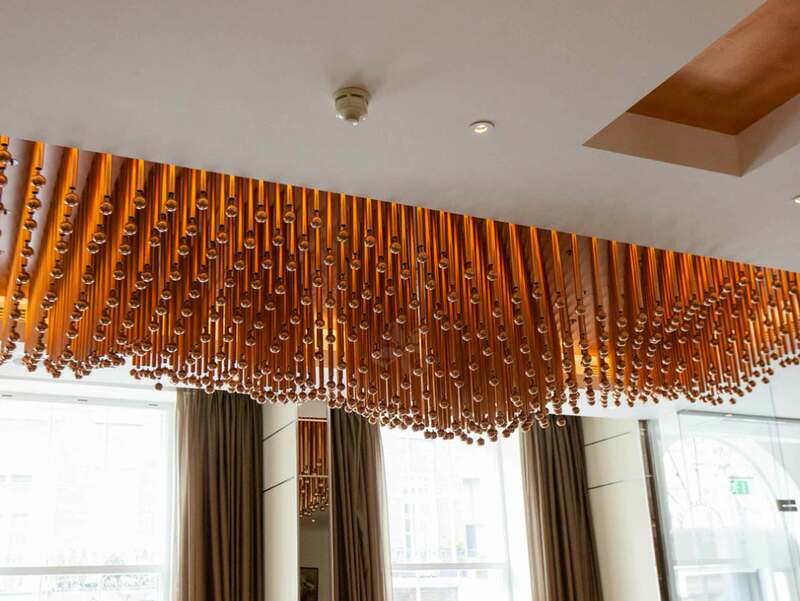 Designed to resembled hot embers from a grill, our feature uses 600 copper-plated rods mounted onto three large dibond panels, which in turn are fixed within a central coffer. 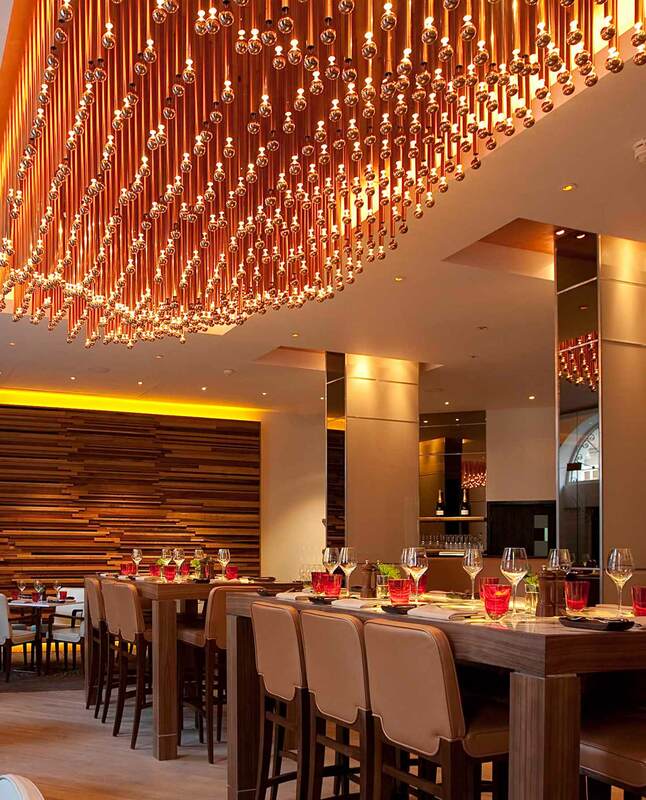 Each rod has an LED that illuminates downwards onto a copper polished sphere, providing “sparkles” of warm light. The effect is warm, inviting and seductive – a real showstopper that enhances the overall ambience of the room.